UW–Platteville is ranked 15th in the D3football.com preseason Top 25 poll. The Pioneers return seven All-WIAC players from last year’s 8–3 team that qualified for the NCAA Division III playoffs. POSTED July 19, 2017 12:06 p.m. The UW–Platteville football team earned a preseason ranking of 15th nationally in the D3football.com poll released this week. 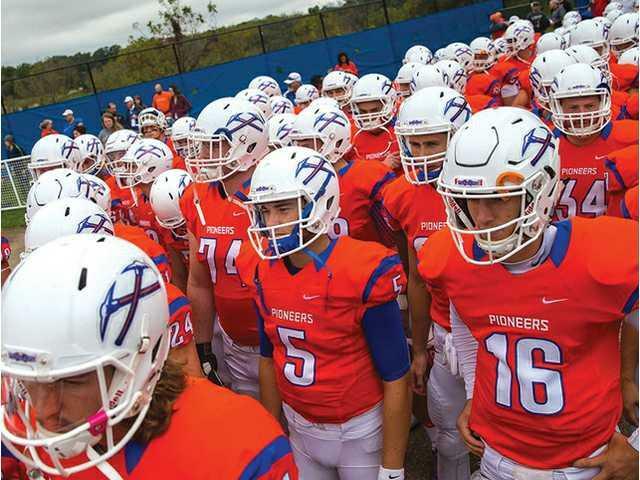 The Pioneers are coming off an 8–3 season and the second trip to the NCAA III playoffs in school history. St. John’s (Minnesota) nipped the visiting Pioneers 32–31 on the game’s final play in the national playoffs. The Pioneers return 10 starters on defense, four on offense and two specialists. Seven returning players earned All-Wisconsin Intercollegiate Athletic Conference honors in 2016, including first-team linebacker Marty McGrail, second-team linebacker Chandler Crary and second-team running back Sean Studer. Offensive lineman Ryan Gaul, defensive linemen Nick Kilianek and Colin Griffin, and punter Connor Finley earned all-honorable mention honors. Emendorfer welcomes his 19th team for its first practice on Saturday, Aug. 12. This year’s squad is the fourth in five years to be voted in the top 15 in the preseason poll. The full 2017 top 25, which features three WIAC schools, can be found at http://d3football.com/top25/2017/preseason.